Hello everybody, Im new to the forum. I would ask to some of the track makers some of the problems that I'm having while doing a custom track. I will glad tips also because I'm bit blocked ending the track. 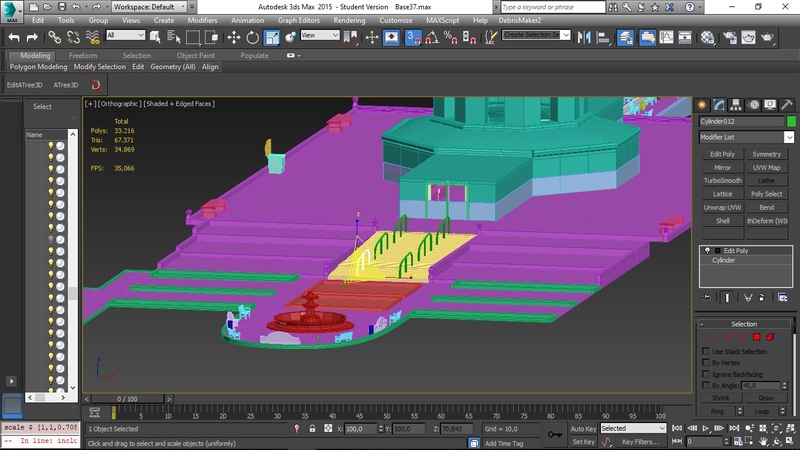 1st: Do you model all the trees and environment yourself or there's a way to import the revolt models to 3ds max? 2nd: How many polys does revolt hold? Right now the model I'm doing is 33k polys but it will be less than 50k. 3rd: How do you set the revolt parameters like: start line, reset position (when your out of track), the way IA drives, etc...? 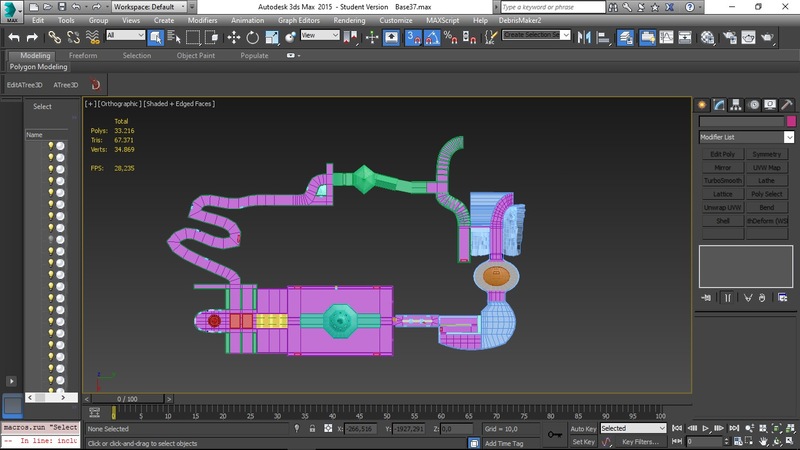 4th: Do you texture the model entirely or separately? 1: Depends. 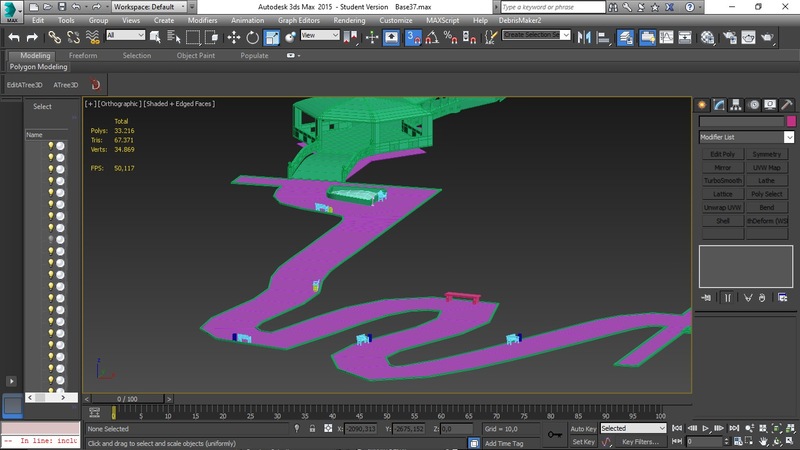 There are some 3ds tools but they are outdated (I think they were called ASE tools) so I recommend using Blender and Marv's add-on (https://yethiel.github.io/re-volt-addon/out/index.html) which supports importing and exporting RV files, including .prm .ncp .w. 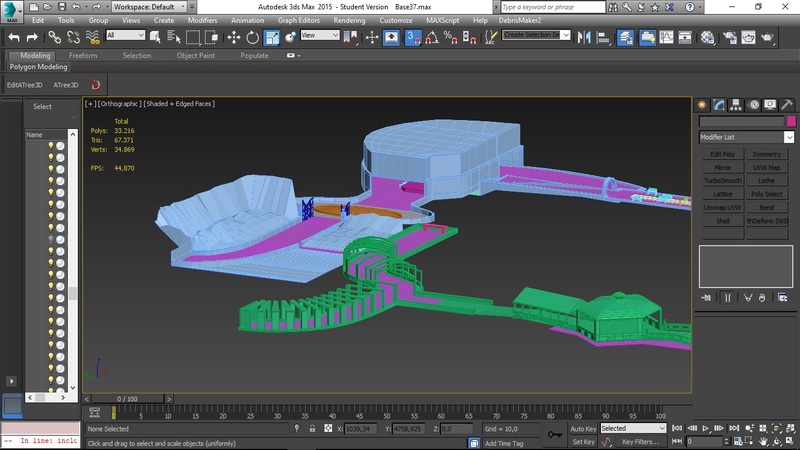 You can also import or export .3ds in Blender. You can found tutorials on re-volt.io. 3: You can set those in the .inf file located in the track folder. Cars reposition to the last AI node they went though. You can create zones in Triggers mode where cars reposition automatically. Again, see re-volt.io. 4: Don't know what you mean. You can use only paint on the model but those will be affected by the in-game lighting a lot. 5: I don't know how that works in 3DS, in Blender you can simply assign vertex groups (or layers) to objects and paint them. The add-on also offers some help with that. Last edited by Instant on Wed May 30, 2018 3:35 pm, edited 1 time in total. Do you know about dev mode/makeitgood? I know a bit about makeitgood, but I'm new about the files I need to make it run in Re-volt. I hope you wont say it slips and drifts too. it works or it's outdated? I can drop the proyect file if someone has tips/ideas to end the track. I have problems doing the boundary of the track. I think I'm doing it way too complex and it seems to be easier to do. Re-Volt's file structures don't really change often, and it looks like that plugin was last updated just three months ago, so it should be as up-to-date as a plugin would need to be. 3. As mentioned, you can use the in-game MakeItGood tools. These tools are used to define most of the stuff in your question and then some. Documentation for those can be found here and here. The .inf file, which contains things like the start positions, is detailed here. 4. I'm not entirely sure what you mean either, but you can look at existing tracks for examples. You can use up to ten different texture sheets. Faces connected to each other can be assigned to different texture sheets. The texture files have traditionally been 256x256 or 512x512, but dimensions in excess of 2048x2048 are possible too. You can use BMP, PNG, and many other formats for the image, but the filename has to end in ".bmp". The mapping doesn't do any tiling on its own, so you'll have to manage that. Along the same vein, vertex shading can be done as well. 5. With some of the effects this game has (the most problematic of them being the warping effect around a shockwave), it's probably better to keep things joined up. That way, you don't get holes like this opening up in your track when one of them shoots through. The track itself looks pretty good! Because of the tiling thing you'll probably want to subdivide some of those larger faces. Also because of the tiling (and also because of the way the game uses the mesh geometry to create effects such as a black smear left behind by explosions), you'll want to keep the mesh as regular as feasible. It might be worth taking a second look at that bench-lined path, and see if you can make it any smoother around the edges. Details like that, or the lack thereof, stick out quite a bit when you're down low on it with a car that's a quarter of a meter tall. Don't be afraid to split the path down the middle to get more control over the geometry if you need to. 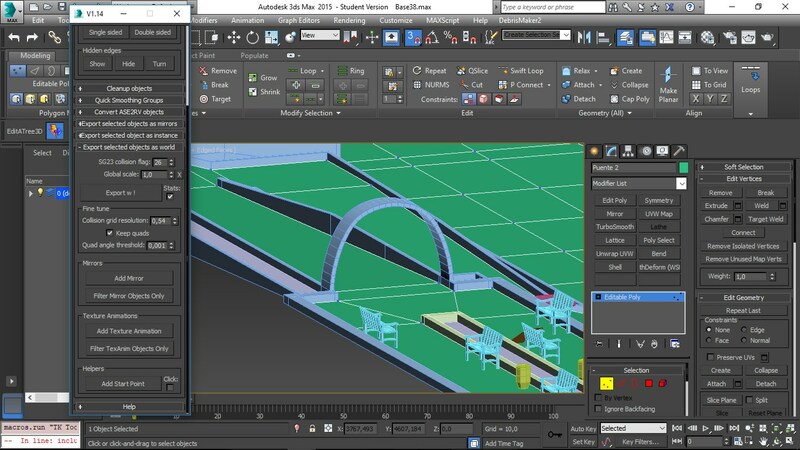 Or alternately, maybe look into whatever equivalents to bezier curves 3ds Max might have. The author doesn't really engage with the community, instead sticking to his own website (correct me if I'm wrong on this). Looks like he hasn't even put his tracks on RVZ for more than five years. He's entirely within his right to do that of course, but it doesn't exactly lead to newcomers knowing of him or the things he's accomplished. Also, while I haven't been able to try it myself, I'm under the impression that it can only export, not import? Meanwhile for the Blender plugin, the author of it is all over the community, engaging and taking feedback on a regular basis. When it updates, the changes are announced in multiple places where people will actually see them. 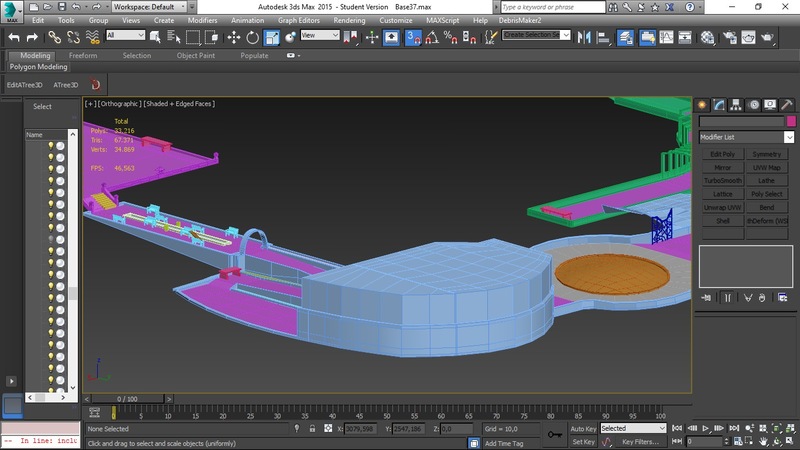 I can't speak for the 3ds plugin's design, but the Blender plugin is set up to be as discoverable as possible. For example, to change materials and flags you don't have to fiddle with smoothing groups and reference a table, there are plainly-labeled checkboxes that change around depending on what kind of mesh you're working with. Finally, Blender itself is completely free, no strings attached, no questions asked, and runs on basically anything with a screen (even systems as niche as a modded PS3). Not to split hairs on why one might be "better" than the other. That discussion isn't going to go anywhere. At the end of the day, amazing tracks have been made with both. But let's be real, it isn't much of a surprise that few people use it.